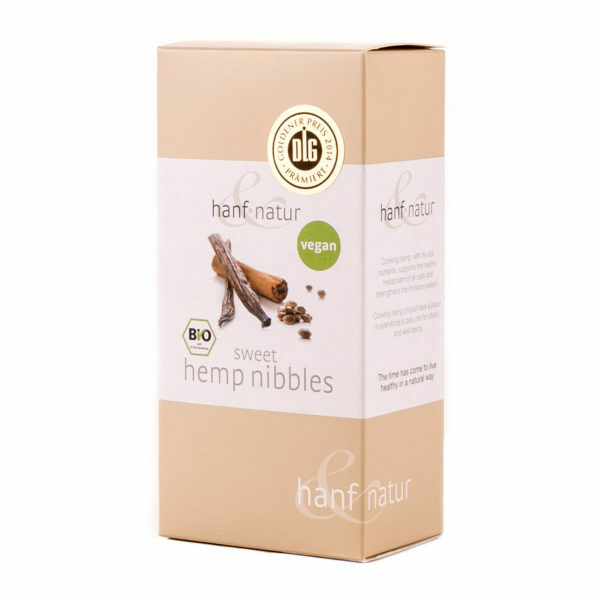 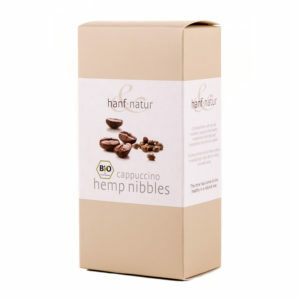 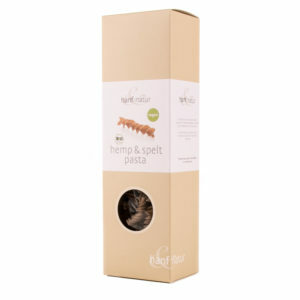 Get a wonderful alternative to sugary snacks with our Sweet Hemp Nibbles from Hanf-Natur. 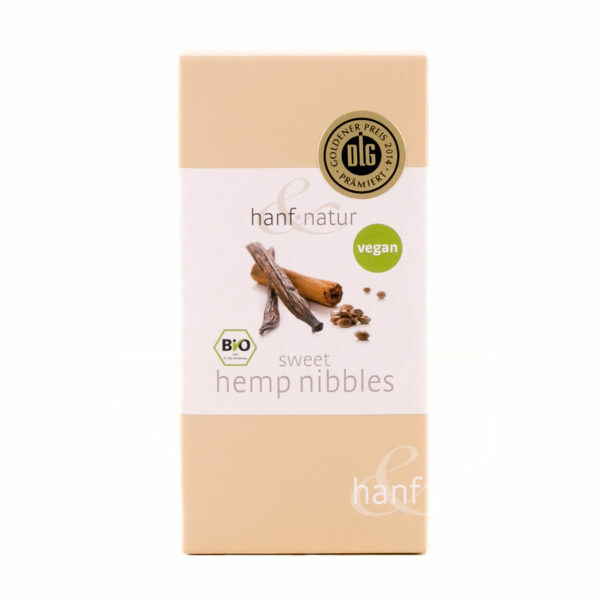 The hemp seeds have been gently roasted to bring out their nutty flavour and rolled in a special mixture of sugar, cinnamon and vanilla for a delicious tasty snack you can enjoy any time. 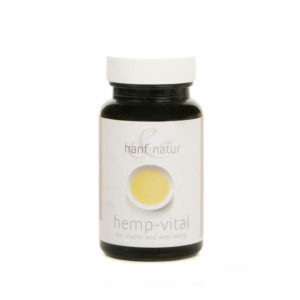 Hemp seeds are an essential part of a healthy diet, naturally rich in unsaturated fats, Omega 3 and 6, fibre, vitamins B and E, as well as minerals and vital nutrients. These nibbles also make a great cooking ingredient, try adding them to baking or sprinkle them over desserts for a sweet, crunchy topping.